There never seems to be enough hours in the day. From the time we wake up in the morning until the time we lay our heads back down upon our pillows, there always seems to be something we need to do...or something we haven't done. Although a struggle many of us can all relate to, not everyone does. There are some who seem to jump straight onto the productivity train leaving the rest of us lagging far behind at the procrastination station. So what is so different about them? And more importantly, what can you and I do as mothers, to get the same inshaAllah? Something I've come to understand, is that successful people often model the actions of others who have succeeded before them. Makes sense right. And we can see this principle at work from birth. When we were babies, we learnt to master walking and talking how? By observing successful examples around us, and striving to mimic what we saw. We pushed ourselves repeatedly, making one bumbling mistake and fall after another until one day, we took that first wobbly step or pieced together two identifiable sounds forming our first word. Fast forward into adulthood, and we find that this skill of observation and mimicking routes to success is something many of us have lost. I know I certainly did. I want to share something with you which has been helping me get more out of my day alhamdulillah. And its something I learnt from someone else. Its something so simple, really so simple, but its effect is huge....and when you read all the way to the end of the post you'll find a super free printable planner to help you boost productivity and beat procrastination inshaAllah! Set your alarm and get up! First, you need to wake up. Set your alarm and get out of bed when it goes off. I know that sounds like a no-brainer. But the habit of the snooze button is the first hurdle we need to jump...and jumping it whilst we are warm and cosy in our beds is hard. So prepare ahead and get into the habit of going to bed early. I know this is difficult in the summer with Isha being so late...but its winter now, so there is no excuse. Put your alarm away from your bed so you have to leave it to turn it off. I put mine outside my bedroom door so not only am I out of bed, but I'm out of my bedroom....and yes it takes me all my willpower to go down those stairs. There are so many conflicting studies out there about the peak of mental and physical performance. Some say our brains work at a super high function within the first couple of hours of waking, whilst others say that optimum brain activity occurs at different times for different people. I've seen other studies which suggest that physical strength also reaches its peak at different times for individuals. The early morning is indeed a time with barakah. And getting up early is one of the most powerful habits you can utilise to increase your productivity inshaAllah. 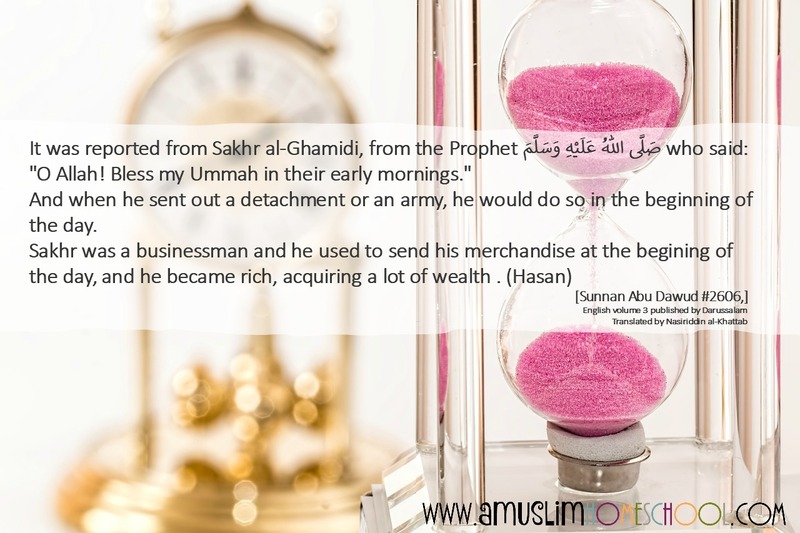 Truly, you can achieve so much in the early morning hours in comparison to later in the day subhanAllah. Honestly, the difference it makes to my day when I get up early is astounding Allahumma barik… espeacily when I'm up and about before the kids are. If its something you're not used to, it may take a little strength to adjust your body clock into a new rhythm, but stick with it. You will get there inshaAllah. To help you awaken early and resist the urge to climb back into bed, do something that you enjoy when you first get up. Whether that is reading the Qur'an, listening to an audio lesson, taking a shower, reading a book, exercise....whatever it is that works for you. Begin with something you enjoy to build into an early morning routine, to help kick-start your day and get ahead inshaAllah. Second, leave your mobile alone. Don't touch it. In fact, make sure you have a regular old fashioned alarm clock to get you up in the morning. Don't use your mobile to get you up. I've started putting my phone to bed at night. I leave it in a drawer in my bedroom and don't touch it until much later after I've got up the following day. Start your day without looking at your mobile and remain unplugged from the digital world for as long as you can muster. 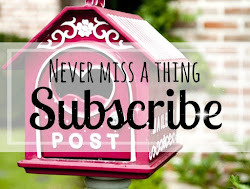 So many of us have become accustomed to checking our messages and emails within minutes of waking up. You see, what we do when we do this, is we are starting our day in a state of reaction. We're reacting to other peoples stuff and their agendas before we have even had a moment to think about our own. So leave the phone for at least an hour after you awake, and if you can go longer then all the better. If there is a real urgency or emergency, someone will call you, don't worry. But all those watsapp group messages, facebook comments, Instagram likes and random emails, are distracting you from your own purpose and goals. They will still be there later when you are ready to check in. They aren't going anywhere....trust me! 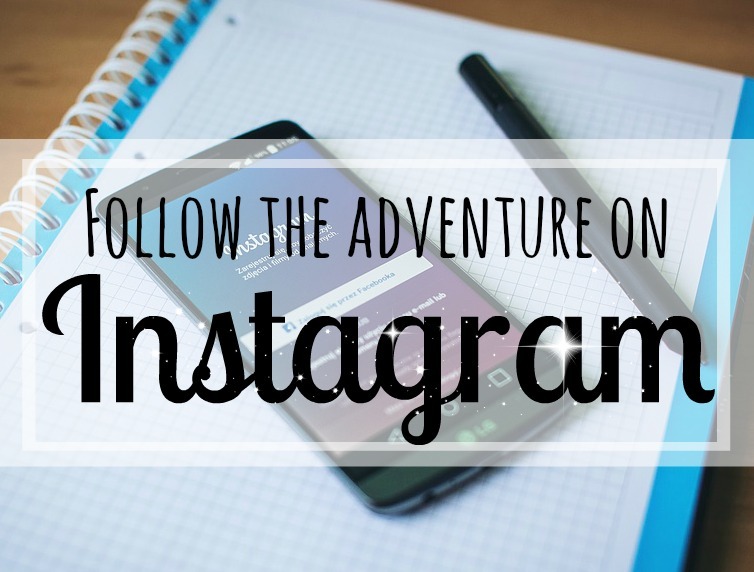 So, we're up, and we haven't checked our phone, now we're ready to chase our real adventures for the day inshaAllah. What I want you to do, is think about your day ahead and all the things you need and want to do inshaAllah. Take a minute or two and just think. Now write all those tasks which are really important today. Leave off the things you do daily as part of your routine, like doing the dishes (unless you don't do them every day...in which case maybe this will be important to you to help you develop daily dish washing into your daily routine). Real things which matter to you and your family. I don't tend to include things which are already pretty fixed into my routine, like reading the Qur'an or Salaah etc. But if these are things which you struggle with and want to develop, then including them in your written list will certainly help inshaAllah. Next, write a reason for why each task on your list is important, and give yourself a deadline to complete each one. Now from your list, mark just 2 or 3 with a small asterisk (*) that are priority. The things which really need to be given attention to that will give you the feeling of success and achievement at the end of the day. These are the things you want to prioritise and get done for sure bi'ithnillah. Now, let me explain why this is effective, because you might be like me when I first heard this, and sat there thinking how is this going to be helpful...I've tried "to do" lists before and they never work. First this isn't a to-do list. Rather its a tool to help you set out your priorities for the day so you get the best out of it inshaAllah. 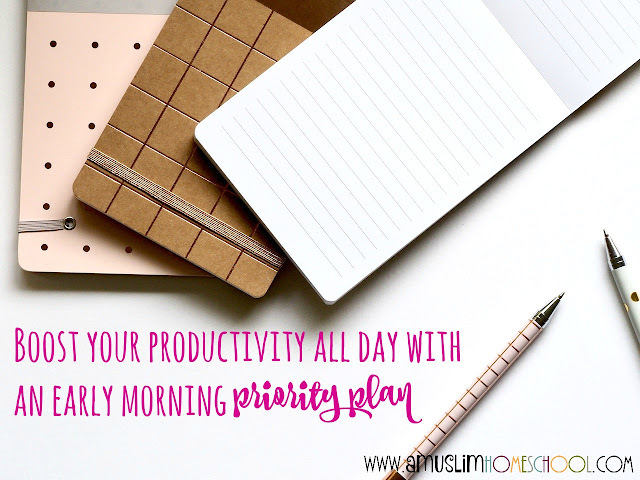 Spending a few minutes each morning (and this really only needs to take a few minutes, no more than 5 and certainly finished by 10), figuring out what is important today, helps set the day with a plan which will help prevent procrastination and increase productivity inshaAllah. Doing this before you check your phone, gives you the head space you need to put you and your family first. Writing helps us to brain-dump everything we're thinking about doing and trying to remember. Getting all our important to-dos (those things which are genuinely important for our work, development, relationships and all round growth) for today allows our brain to stop juggling information and frees it to direct that energy to other important matters. When we have it written, we're not going to forget. We have our back up copy there in front of us. When you jot down a brief reason for each task, make it important to you. Even if your task is for someone else, find a reason why that is important to you, because this will provides you with more juice; a greater motivation for going forward and getting those things done inshaAllah. 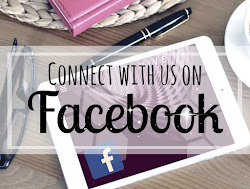 Maybe you are on board with me at this point and you get why planning out what's important for the day together with a reason can be something beneficial, but why set a deadline? Don't deadlines just create stress? 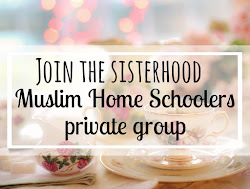 And if we're trying to create a harmonious, relaxed family and home life, why do I need to decide that I want to finish cleaning the bathroom by 10am or finish homeschool / homework by 5? We're at home, home doesn't need those kind of timed boundaries. Thats certainly what I used to think. Until I was told about Parkinson's Law. Parkinson's Law is the adage that work expands so as to fill the time available for its completion. What this means is, whatever time scale you have for any given task, more often than not, you are going to space out that task so it actually fills that time. If you have a project you need to finish in a week, you will take a week to do it. If you have the same project and two days, you'll finish it in two days (isn't that what most of us did back at school or university...our assignments might not have been due for a couple of months but we'd end up doing it all in the weeks or days before its due...or was that just me?). Take my house, when I want to do a full scale scrub down, it will take the whole day, or the whole weekend....sometimes it will last the week. But that phone call from my Dad who tells me he will be at our front door in the next hour and boom, I've never had the house ready so fast! So the point to setting a deadline, isn't to add pressure, but to help boost productivity and give that attention to those things that are really important to you. I'm not going to lie, I don't always manage to see to everything. The first day I tried this, I didn't get to everything I wanted, however, I did get to focus on a lot more than I normally would have. 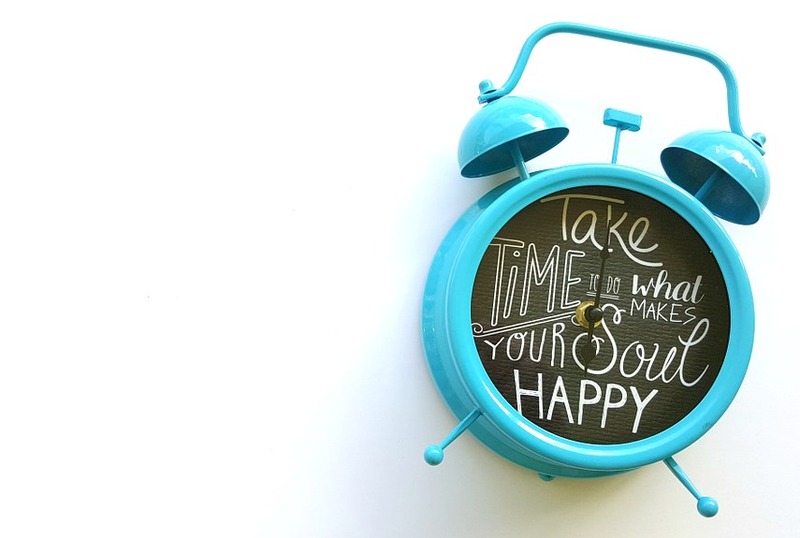 Its easy to over-estimate the hours in the day and what is realistically achievable. But I think that as time goes on and this tool is used with more practice, you get better at judging what is possible and what truly matters. You can use whatever you feel comfortable with. A scruffy old notebook or a beautiful new journal. A scrap piece of paper, post-it-note or whiteboard on the wall. 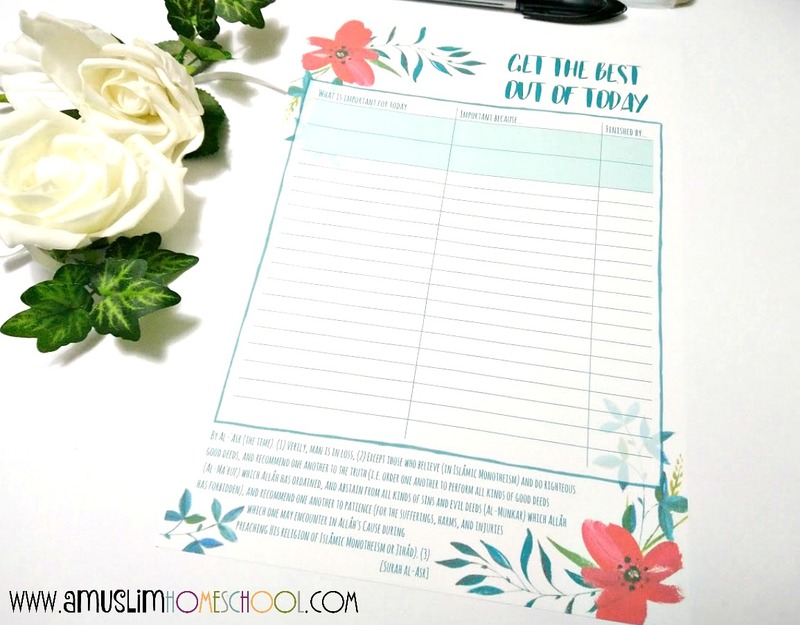 To make it easier for you to get started, I've created a simple printable "Get the best out of today" sheet that you can use to help guide you through the process. 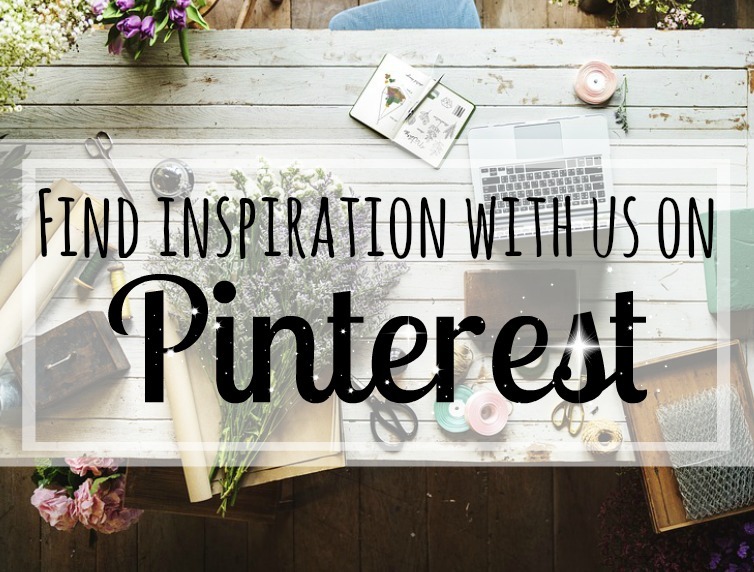 You can continue to print it out, laminate or put in a pretty frame to reuse over and over with a white board pen. You'll see the top two spaces are shaded. This is to direct you to set out your top 2 priorities for the day. These are the must do things that will make the day a success for you inshaAllah. 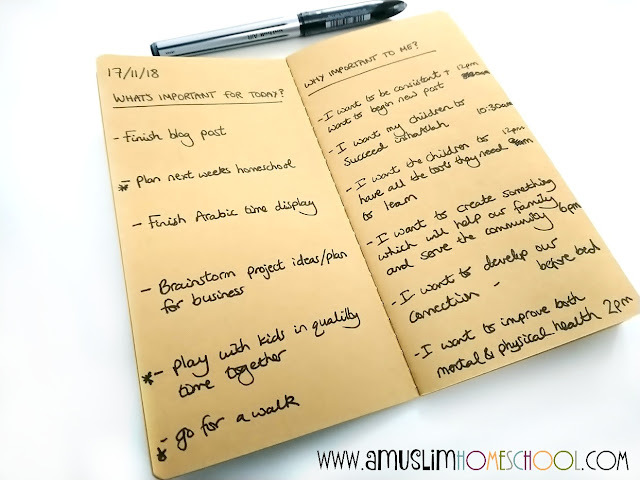 With the planner page, you can choose from two options, the first quotes the English translation of Surah Asr (from Mohsin and Khan) and the second a secular productivity quote. To grab your copy just click through the high lighted text below each image choice....or take both! 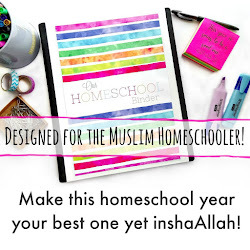 Get the best out of today daily productivity planner printable - Surah Asr. 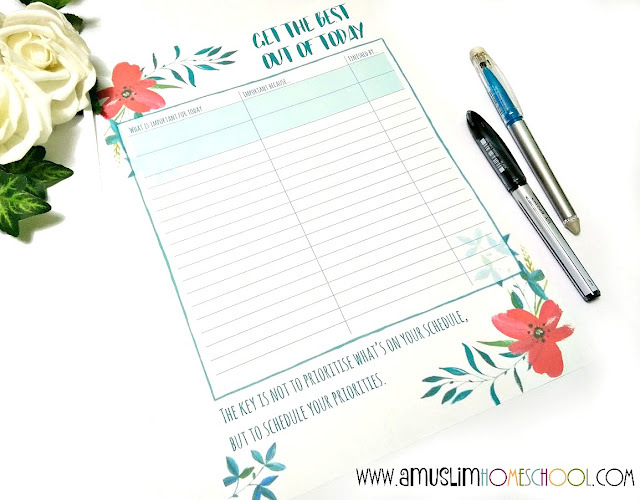 Get the best out of today daily productivity planner printable - Productivity quote. What an amazing article! It's really motivating and i am definitely on board bi idhniLlah! BaarakAllahu fiki for the printable. 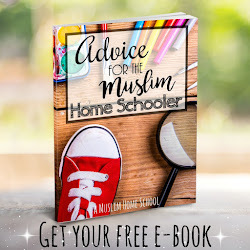 Loving, absolutely loving your blog BaarakAllah Feeki! 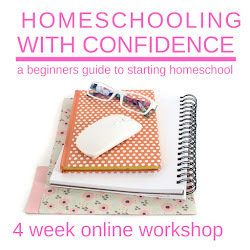 SO many helpful tips, I was so skeptical about homeschooling before I came across your group and blog!